Yes, I finally did it. I took a break from making Christmas cards. Yes, I still have some to finish and all of them to address but I needed a brief reprieve. 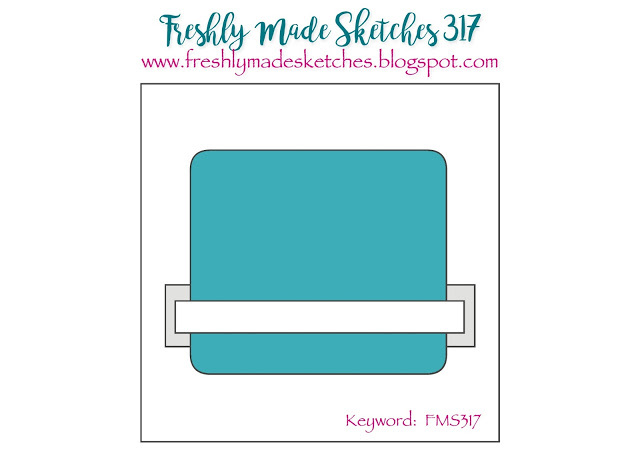 So I used this week’s Freshly Made Sketches sketch designed by the amazing Jen Mitchell to show off some new things. Alright, alright, the sketch is actually a square. And I really love square cards! But I wanted to use this lavender image so badly and it just fit better on a rectangle. The flower is from the new Sale-a-bration set called Lots of Lavender and it will be available on January 3rd for free with a $50 US purchase. I actually heard it calling to me the second I saw it. I used some soft Tim Holtz Distress Inks on Bristol Smooth paper to color it and the background. Such a pretty one to work with and it hardly takes any time to color. I wanted to use this sentiment from the new Friendship’s Sweetest Thoughts Stamp Set (Occasions 2018, available on Jan 3rd too) but didn’t want to lose any of the image. Vellum to the rescue. I added a small piece of Elegant Eggplant behind the image panel to try to keep with the sketch. The whole panel is popped up on foam (I find this helps keep the panel smooth after watercoloring) and then put on a base from the Wood Textures DSP. These woodgrains are so pretty and can be used in so many ways. I hope you like this pretty little look at spring! Now off I go, back to the Christmas card production line! Thanks so much for stopping in today. I’m back tomorrow with a fun card for Newton’s Nook. Until then, have a great day! This is such a pretty card! I love the Eggplant with that woodgrain dsp. That’s a color I haven’t used in a very long time, and now I know how to use it. Thanks for the sneak peek! What a beautiful card Jen! I love that background and those sweet flowers! Everything looks perfect against that wood grain DSP! The sentiment is just perfect!! So lovely! This is gorgeous! The woodgrain background is perfect for that sweet spray of lavender. And vellum always seems to come to my rescue when nothing else will do! Simply beautiful Jen! Love the woodgrain background! Thanks for the inspiration! 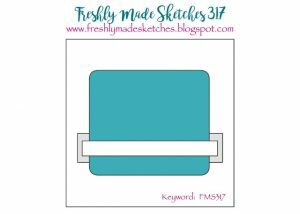 Love your soft background! I know what you mean about needing a break from making Christmas Cards. I’m ready to move on to the next thing. I’m sorry I’m so late visiting this blog post! 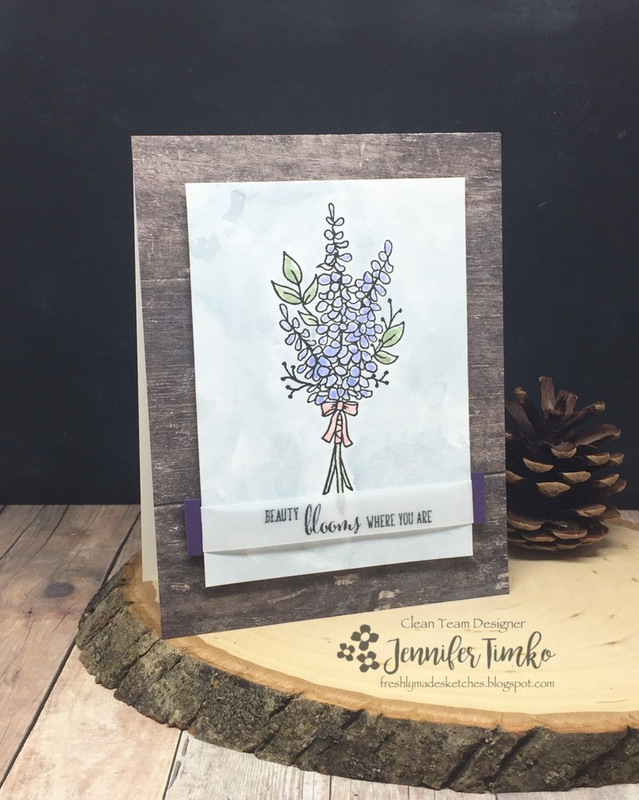 Your card is beautiful – the lavender is so soft and pretty and works perfectly with the woodgrain background.